HAVANA - The economic, financial and commercial blockade imposed by the United States on Cuba continues today after 55 years of imposition, despite the recognition in the own nation of its failure as a policy. This U.S. measure was formalized on February 3rd, 1962 through the 3447 Presidential Executive Order, although the economic hostility began in 1959, after the triumph of the Cuban Revolution. According to a report submitted by Cuba on October 26th, 2016 to the UN General Assembly, the siege has caused damages of more than $753 billion,668 million USD in nearly six decades, calculated using methodologies certified by U.S. institutions and the consideration of the value of gold. At current prices, the figure is not less than $125 billion 873 million USD, not an inconsiderable sum, Cuban Foreign Minister, Bruno Rodríguez said on several occasions. He also stated that only from April 2015 to April 2016, the blockade caused direct damages to the economy of the Caribbean nation estimated at $4 billion ,680 million USD. 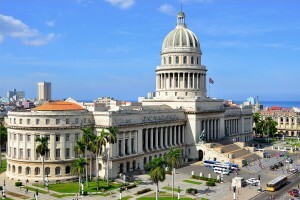 According to the diplomat, there is no Cuban family exempt from the effects of the blockade, which is the main obstacle to the country's development and the fluidity of its international economic relations. All daily life areas suffer directly or indirectly the referred set of laws, although the sectors of education, health and food are usually among the most affected ones, because of their high social impact. Like every year since 1992, Cuba presented in 2016 to the UN General Assembly a draft resolution on the need to put an end to the U.S. blockade.